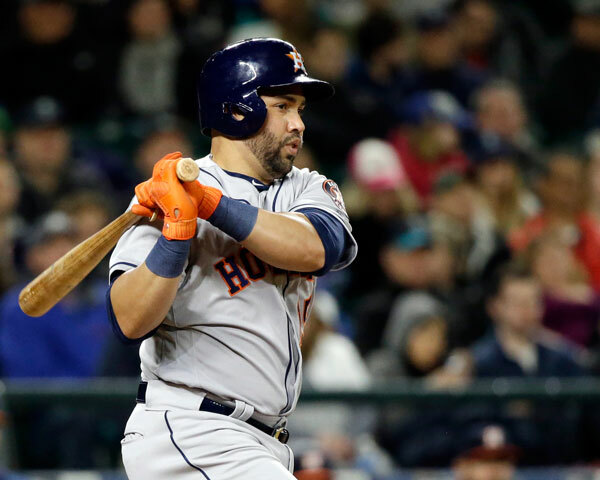 SEATTLE, Washington -- Jose Altuve picked a good time to start looking like Jose Altuve. 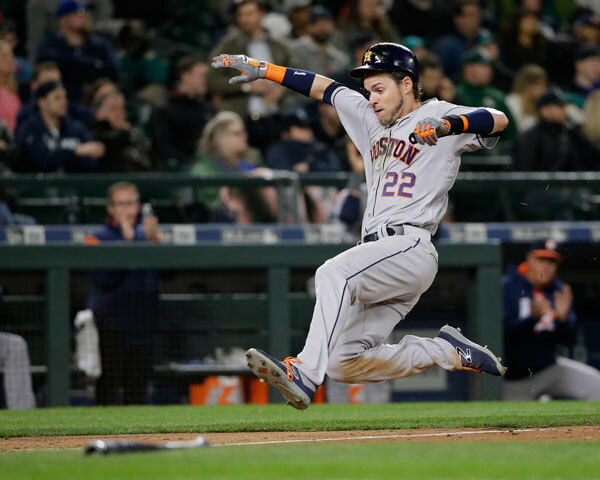 Altuve, who began the season 3 for 21, hit three singles and drew two walks, helping the Houston Astros overcome an early five-run deficit and rally past the Seattle Mariners 10-5 on Wednesday night. "I don't know if he was ever out of form, other than he wasn't getting the number of hits. 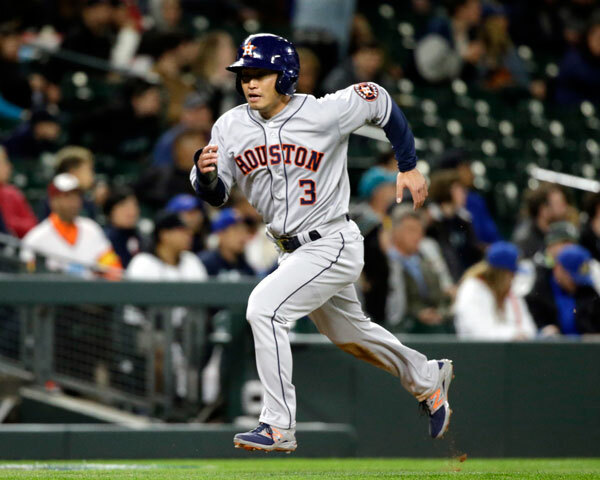 He continued to be good," Astros manager A.J. Hinch said. "He's such a good player and we expect so much out of him. I know he needed it mentally to feel like Jose Altuve again." Altuve, a two-time AL batting champion, went 5 for 8 in the final two games of the series to raise his average to .275. Carlos Beltran drove in three runs for Houston, which trailed 5-0 after three innings. 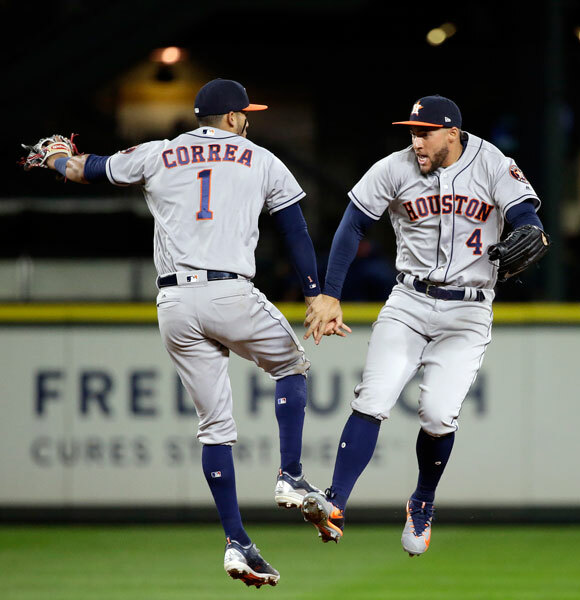 The Astros, who had one hit through the first three innings, finished with a season-high 16 hits. "We do believe in our club," Beltran said. "I do feel that it was about time we started swinging the bat collectively and we did that today. We put together quality at-bats and basically everyone fed off that. That was the key today. We did not feel when they scored those five runs that we were out of the game." 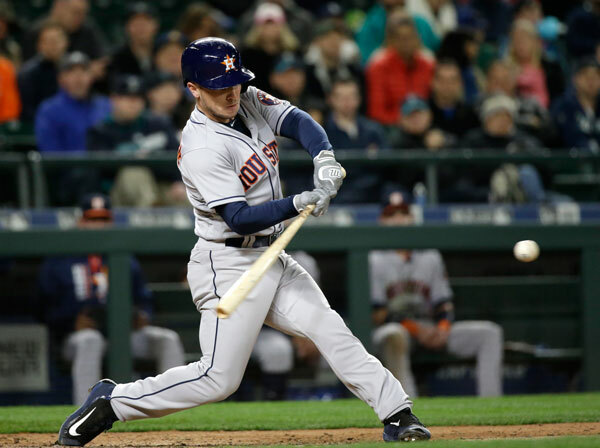 The Astros got three runs in the seventh off Dan Altavilla (1-1) for a 6-5 lead, with Alex Bregman's RBI double putting them ahead. 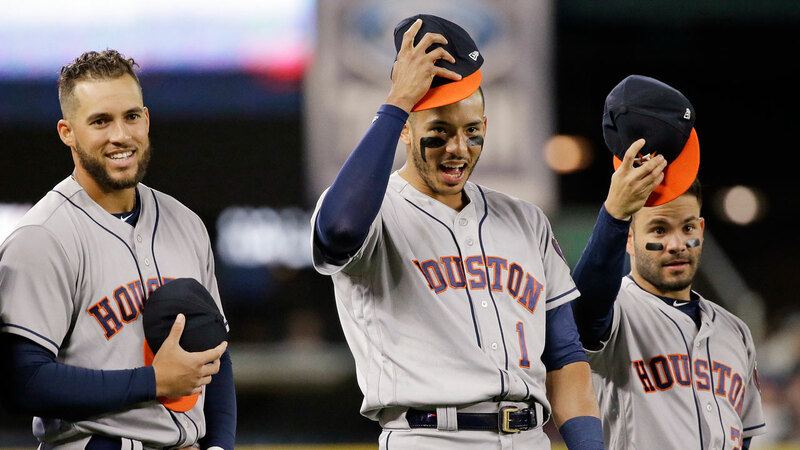 Carlos Correa capped the comeback by scoring on a wild pitch. Houston added three more in the eighth on a sacrifice fly by Josh Reddick and a two-run double by Beltran. Fiers lasted just four innings, allowing five runs and six hits. 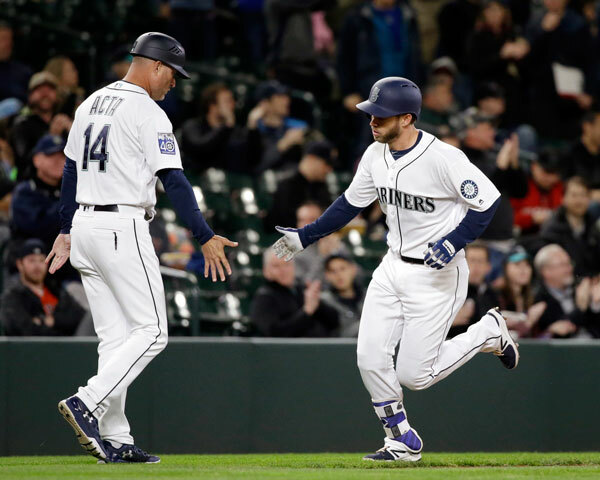 The Mariners scored twice in the first and then made it 3-0 when Mike Freeman, called up from Triple-A on Tuesday, opened the second with his first career homer. Seattle extended the lead to 5-0 in the third on Taylor Motter's first homer, a two-run shot. Mariners starter Yovani Gallardo walked three in the fourth to begin Houston's rally. 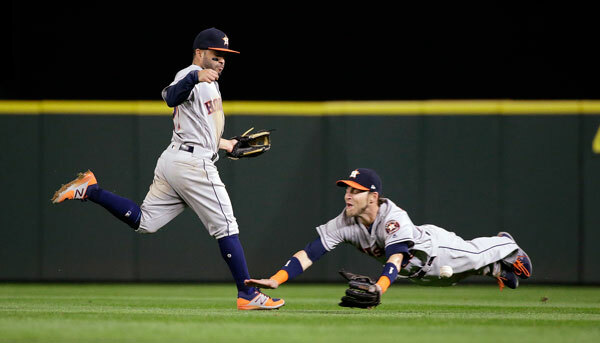 Reddick and Altuve opened with consecutive walks and Correa singled to load the bases. 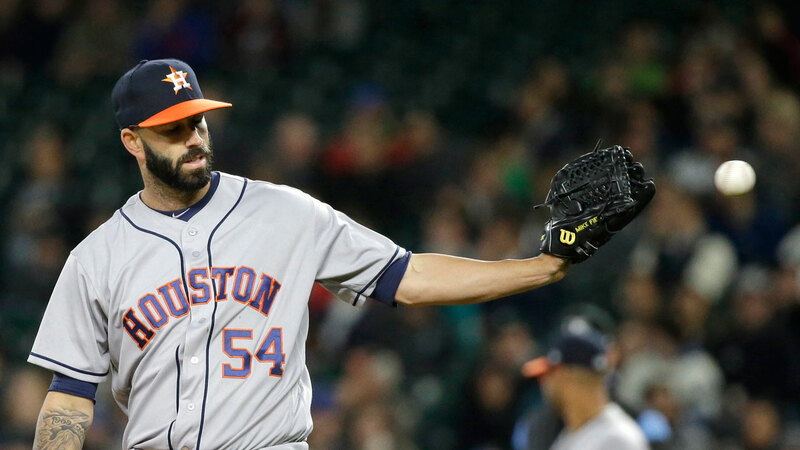 Gallardo struck out Beltran and Bregman before walking Brian McCann to force in a run. 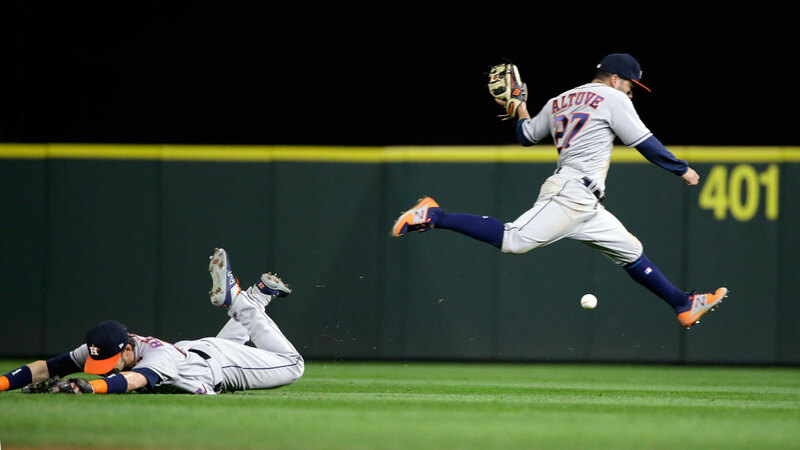 Yuli Gurriel followed with an RBI single up the middle, but second baseman Robinson Cano made a diving stop on the grass and flipped the ball home, catching Correa off third, and he was tagged out in a rundown to end the inning. "I thought he was throwing the ball well the first three innings. 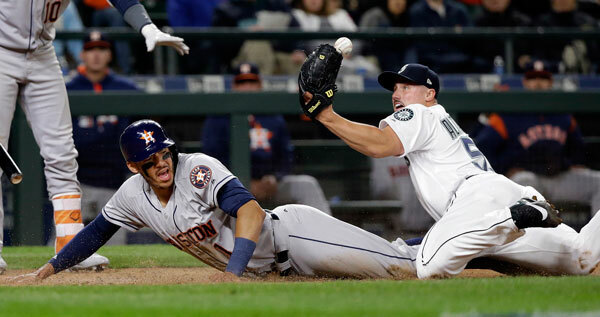 Got his curveball going and was aggressive, got in good counts," Mariners manager Scott Servais said of Gallardo, who entered 15-5 in his career against the Astros. "After that he lost his release point and couldn't get the feel for the curveball, and it was a struggle for him." Astros: After an off day, Dallas Keuchel (1-0, 0.64) opens a three-game series at Oakland. The left-hander has allowed one run on four hits in 14 innings in his first two starts. Keuchel is 2-1 with a 1.91 ERA in his last nine starts against the A's. Mariners: Felix Hernandez (0-1, 4.09) makes his third start of the season on Friday to open a three-game series at home against Texas. Hernandez is 18-23 in his career against the Rangers, including 11-12 with 3.69 ERA in 27 home starts. Mariners: RHP Tony Zych, who began the season on the 10-day DL while recovering from biceps surgery late season, moved one step closer to returning. "He threw a simulated game today and threw the ball very well," Servais said. RHP Steve Cishek, on the 10-day DL (hip surgery), also continues to progress. "He's getting really close to going out on a rehab assignment. I would think probably in the next four or five days," Servais said. Right-handed reliever Casey Fien (0-0, 11:12 ERA), who appeared in five of the first nine games, was outrighted to Triple-A Tacoma on Wednesday and right-handed reliever Evan Marshall was called up. Marshall made one appearance for Tacoma after being claimed on waivers from Arizona on April 6. Marshall pitched 1 2/3 scoreless innings for the Mariners on Wednesday night. OF prospect Boog Powell completed an 80-game suspension after testing positive for a performance-enhancing substance last season and was reinstated to Tacoma.